Can you believe my 6yr old son has an MP3 player, but I don't? 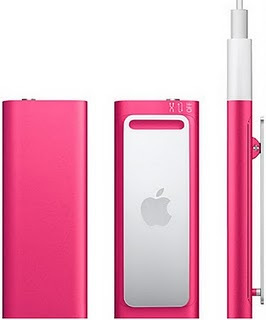 Nichol of KiddiesCorner Deals is giving away a pink Apple 2GB 3rd Generation iPod Shuffle courtesy of Abt Electronics. This giveaway is open to U.S. and Canadian residents. There are lots of ways to earn extra entries including daily Tweets. This contest ends on May 17th, 2010.